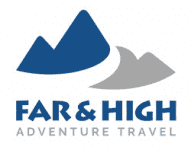 Far & High, a small boutique travel company is based in Minneapolis, Minnesota, USA and is specialized on small group and custom tours to the Himalaya and Asia. All of our partners, managers, guides and field staff have had roots in Asia; they are educated, trained, and have had years of experience in the area we go. For Far & High, travel is not a business but a way of life and we do not sell our tours but plan your once in a lifetime experience.Our group departures are guaranteed with a minimum of two sign-ups. We keep our groups small, usually less than 10 persons and maximum 16, so that each participant receives personal attention from their guides and support staff. Small group travel allows our traveler's flexibility in itineraries and access to areas and sights unknown or unavailable to large tour groups—plus you have more independence and opportunity to socialize and share your experience with other participants. We are active TOP supplier member of ASTA ( American Society of Travel Agents), CCRA and MTSA ( Midwest Travel Supplier's Association). We are a BBB accredited business with A+ rating . Why Far & High? Small Groups, Flexible Itineraries and Access to Unique Treasures We keep our tour groups small not only to ensure personal attention from guides and support staff but also to provide access to areas and sights unknown or unavailable to large tour groups. Tour participants enjoy the independence and opportunity to socialize and share their experiences with other participants. Safety All of our guides and support crews are trained in safety and first aid techniques. 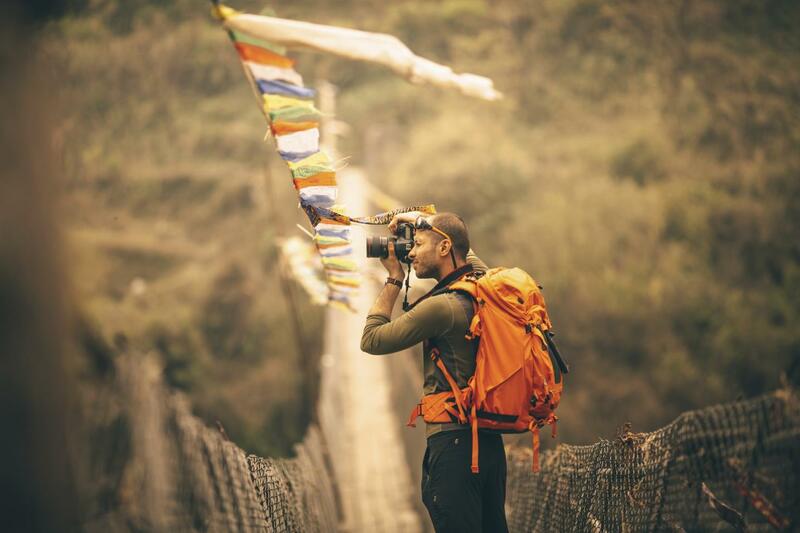 On adventurous trips, our guides and crews use modern equipment. Our itineraries involving high altitude allow enough time for acclimatization. A Different Way to Travel With us, you will not just travel from point A to point B, but you will immerse into the local culture, lifestyle and the nature. We do not sell our trips to you but we help you plan your trip. Customized Travel Experiences Any of our tours can be taken as foundation on which to build your own private trip. Select a date that suits you and we will suggest a detailed itinerary. If none of our existing itineraries works for you, we can craft one that does. If you do not have a travel companion, we can arrange a solo/independent traveler tour or look for a travel companion to join you that fits the respective schedule. Giving Back Far and High Travel supports local non-profit organizations working in community development and environmental conservation. A portion of your tour payment goes directly for such activities. So by traveling with us, you are helping in the community development and environmental conservation of the highland you visit. Speedy Response We are not tooting our own horn but our clients say that we response was rapid! We are committed to answer your queries within 24 business hours. Our tour specialists are available 24/7 on cell phone and skype. Please, feel free to contact us anytime. Lifetime Deposit We understand that circumstances and preferences can change over time and you may not be able to go on the trip you have signed up for. No worries. You will not lose your deposit. While the deposit is non refundable, you can use it on your future travel on any destinations we go. The deposit also can be transferred to other traveler. But if some suppliers such as hotels have asked a non refundable deposit, we may not be able to recover it when you can cancel or postpone the trip. Local Tour Guides and Managers Our trips are escorted by locally gifted and talented guides who are university graduates, certified by the local government, are fluent in English and will act as your personal translator. They are professional, but are also easy going, friendly and hardworking. Using local guides, we not only provide jobs to the locals, but also save on the high cost of providing a foreign guide. Most importantly, no matter how much expertise a foreigner can have on an area or people, there is no match for local knowledge. When you travel to multiple countries in one trip, the guides and support staff will be different in each country. Low Impact Tourism As you go through our trips, you will very quickly feel the important need for preserving the local culture and environment. We do our best to leave a minimum impact on the culture, environment and biodiversity of remote highlands. This plays an essential role in helping to increase awareness to the outside world, as well to the local people of the need to preserve these areas for future generations, rather than exploit them now for short term economic gain. We do our very best to ensure that local populations in the areas we visit benefit directly from our tours. On trekking and hiking trips, we use local produce and supplies as far as possible. At campsites, we properly dispose of garbage, recycle cans and bottles, and discourage the use of firewood for cooking in order to help prevent deforestation. In short, we respect local culture and tradition and abide by local social etiquette.